RAM Insurance Partners, LLC will open their new location in the Idle Hour Shopping Center. RAM Insurance Partners, LLC provides property and casualty insurance to businesses and individuals. 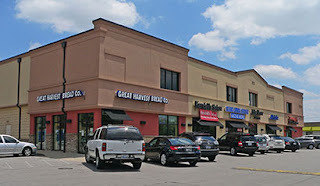 Idle Hour Shopping Center is a neighborhood shopping center located at 2051-2121 Richmond Road in southeast Lexington. Bruce Isaac, SIOR, CCIM, Senior Vice President and Jim Holbrook, Associate of NAI Isaac Commercial Properties represented the Landlord, Glamis Idle Hour, LLC in this transaction. 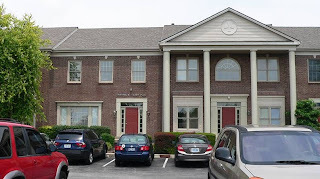 DB Homes, LLC will open its new office location in Suite 30 of the Darby Creek Office Park in Lexington. Jim Holbrook of NAI Isaac Commercial Properties represented the landlord, Andover Enterprises, LLC, in this transaction. 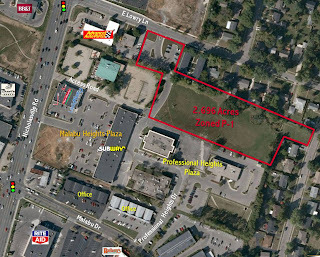 NAI Isaac brokers the sale of 0.75 acre professional office land at 1017 Wellington Way to RTA Family Trust. The land is located just off Harrodsburg Road near the Palomar Centre in Lexington, Kentucky. The Seller was Allied Hospitality, LLC. Al Isaac, President of NAI Isaac Commercial Properties facilitated this transaction. NAI Isaac brokered the sale of 2.696 acres of P-1 zoned land in the Nicholasville Road corridor to CVH Lexington, LLC who plans to construct a new Home 2 Suites by Hilton hotel. The land is situated on Professional Heights Drive behind Trader Joe's. Paul Ray Smith, Executive Vice President of NAI Isaac Commercial Properties, represented the Seller, Professional Heights, LLC, in this transaction. Jeff Stidham with Stidham Commercial Partners represented the Buyer.